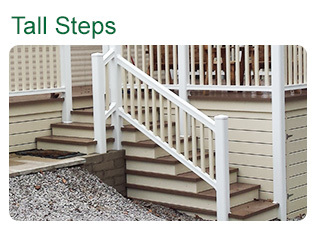 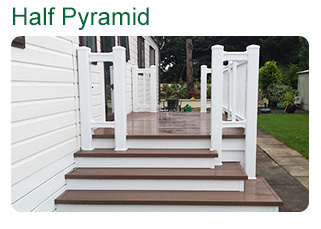 Access to your deck is an essential part of its design and we have a variety of options when it comes to steps and ramps. 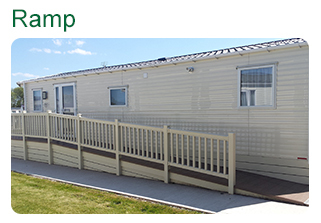 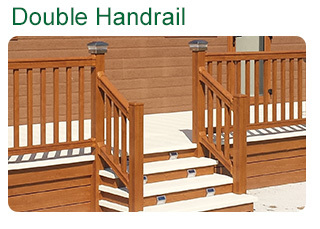 The versatility of the decking system allows you to consider ease of access for yourself and your visitors to your holiday home. 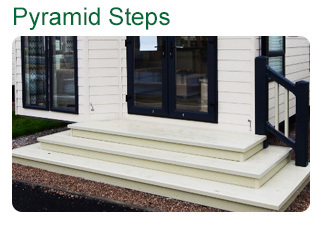 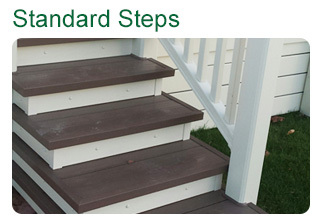 Adding cost effective steps, ramps or both offers an attractive entrance point. 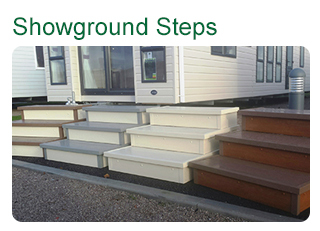 Steps can be fitted securely enhancing the appearance of your decking by creating a personalised entrance complementing your holiday home. 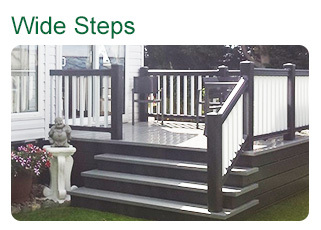 Ramps are built using the same strong and sturdy sub frame and deck boards, matching perfectly with the whole deck. 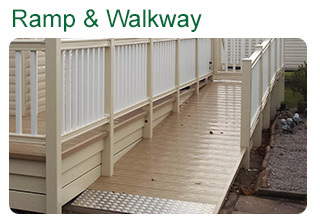 Providing a gradual incline, ramps are particularly suited for disabled access and families with pushchairs and will easily take the weight of a mobility scooter.